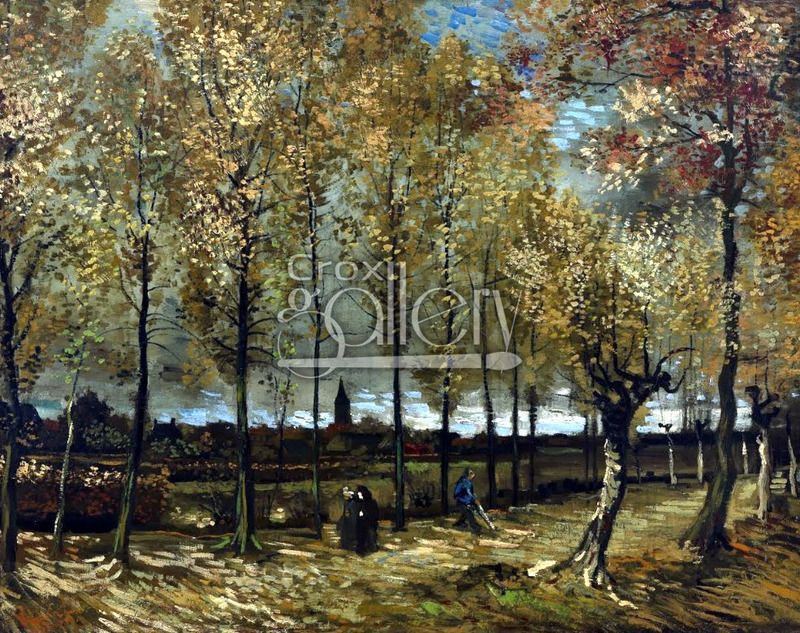 "Poplars near Nuenen" by Vincent Van Gogh, Oil painting for sale. "Poplars near Nuenen" by Vincent Van Gogh was painted in 1884 and retouched two years later by the artist "to give it brighter colors" according to a letter sent to Theo, his brother. The experts say that the blue lines painted across the sky and the light touches in the trees (poplars), are part of the added changes. 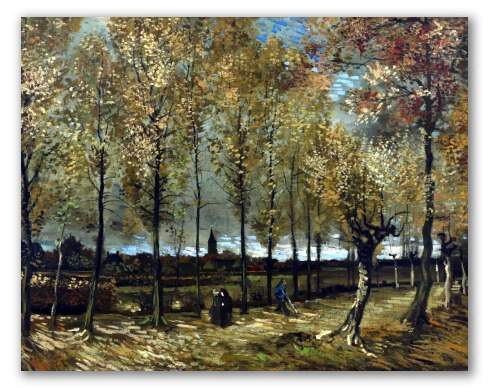 They say this based on the fact that the colors are brighter than the ones Vincent used to paint in 1884. The way the ground is painted also reminds us of an impressionist influence that came later. The painting is actually exhibited at the Boijmans Van Beuningen Museum, Holland.